Summer is coming and soon families all over will be heading out with their kids on vacation. Road trips with kids can be lots of (okay at least mostly) fun. 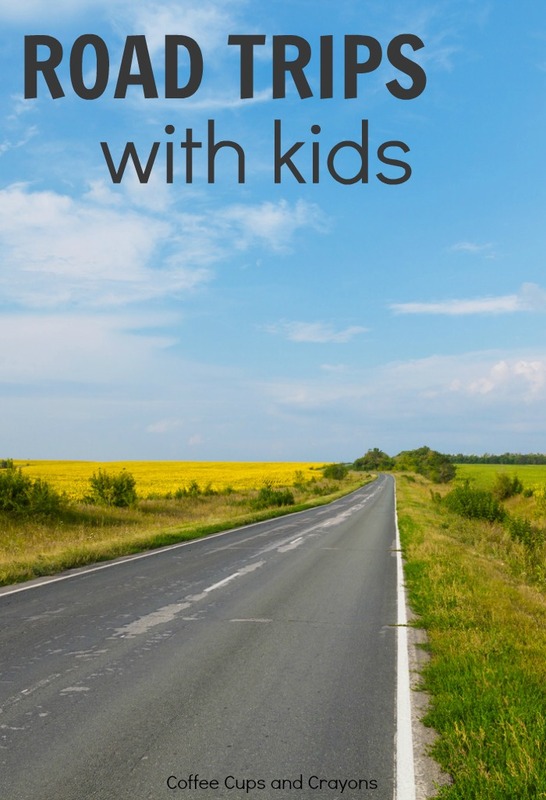 Here are some of our favorite tips for traveling with kids, just in time for your next trip! Bubbles. Save those mini-bubbles that you get as wedding or party favors or make a batch of your own for the kids to blow and pop in the car when they get bored or cranky. Keep the spills to a minimum with little ones by having a grown up or older child blow them for the younger ones to pop. You’ll be amazed by what a great mood lifter this one can be! Bring your own potty. Traveling with a potty trainer is tough. Make life a little easier on yourself by bringing your own potty seat. You can use it when you can’t find a bathroom to stop in or if you find the bathroom isn’t as clean as you would like. Pack healthy snacks. Having bellies that feel good and full make for happy travelers. Make sure to bring things like water cups your kids can open and use on their own, frozen grapes (for older kids) that can help keep things cool and double as a fun snack or homemade trail mix you can pass out in snack cups. Serving family favorites in a fun way gives kids something to look forward too. My kids love anything served in their Snackeez Cups (affiliate link). Check out books on CD. Listening to books in the car is fun! Check out books on CD from your local library and pack them for the trip. You can listen to sections of a chapter book at a time or follow along in the backseat with a picture story book. Take a break and move. On a long trip it’s tempting to just get it over with and drive as long as you can at once, after all who wants to make the trip drag on? Planning little breaks to get out and move can make it much more enjoyable for everyone though. Even just pulling into a rest stop for 10 minutes to get out and run around or play frisbee for a few minutes can make it easier to keep going. Baby wipes. These are a given if you have a baby, but you should still grab some even if you don’t. Baby wipes are perfect for cleaning up messes on the go and getting hands clean when you can’t stop and find a sink. Busy bags. We are huge fans of busy bags. They’re self contained activities that keep kids not just busy but also learning and engaged. Prep some before you go and pass them out for the kids to play with in the car. Designate a DJ. Take turns choosing the music to play or make a playlist ahead of time mixing up everyone’s favorites. Singing songs together is a great way to pass time and make memories. Plan for naps or quiet time. Just because they’re sitting doesn’t mean kids still won’t need a nap or quiet time. Try to stick to your regular schedule and routine as much as you can. Read a book, turn down the music, and hand out comfort objects to make it more like home. Tell jokes. Nothing livens up a road trip like some jokes! If you don’t know a bunch grab a joke book or take turns making up your own. Giggling makes sitting in traffic more bearable. Break out the beach towels. Beach towels aren’t just for swimming. They can be used as blankets, to put in the window to block the sun, or as a picnic blanket at pit stops. Be silly. When people start to get cranky it’s time to get silly! Pass out eye patches and talk like a pirate or put on crazy wigs and sing. All that time together shouldn’t just be “gotten through”, use it as a chance for family bonding! What are some other ways you make road trips with your family go more smoothly? I just realized…we’re headed from VA to your sunny state of FL! (visiting my brother and his family in Orlando) Wish me luck! Hah! Oh how FUN!!!!!! You definitely need eye patches!